We all know how summer goes: you have a blast and it happens too fast. Summer months can make it difficult to maintain the relationships you made in college and hinder your chances of meeting new people. But once everyone is back on campus, you can finally see the people that you’ve been missing and/or the people that you’ve never met before (yes, this is still possible, even with our small campus). Whether they’re students, faculty, staff, or alumni – it’s the people who truly “make” Concordia what it really is. If you’ve ever visited campus, then you know that it looks good at all times of the year. But one of Concordia’s best looks? Fall. 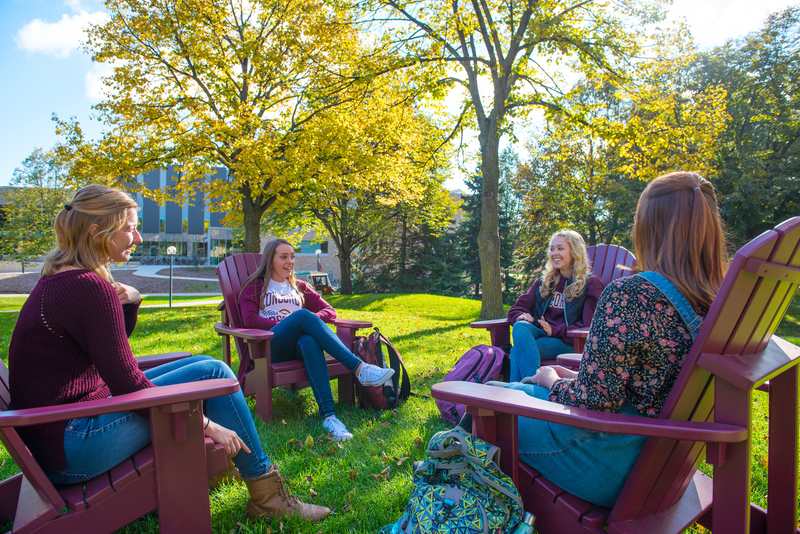 Combine the perfect autumn weather with spots on campus and you’ve got a happy place. Some of the best-looking places include the famous bell tower, Olin Hill, the steps in front of Old Main and Prexy’s Pond. And the seasonal beauty extends beyond campus, especially into the Fargo-Moorhead area. If anyone can put on a successful event, it’s Concordia. And lucky for you, some of our best events happen during the first half of the academic year. 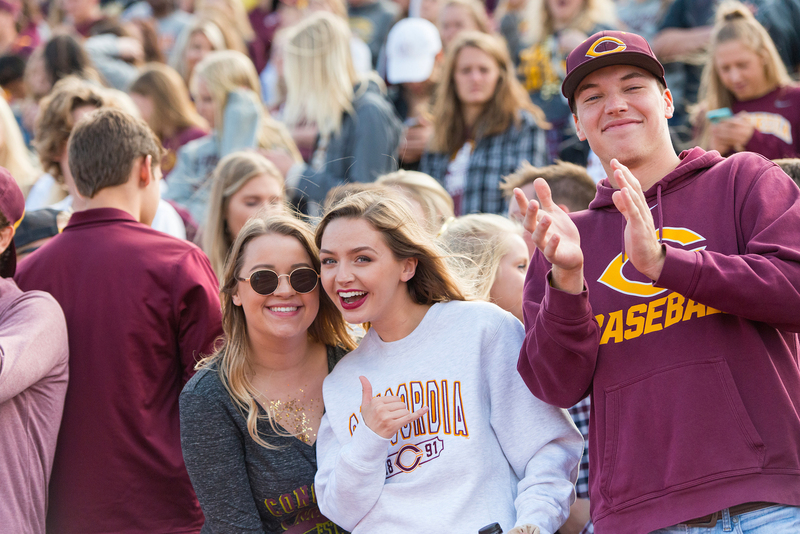 Nothing beats the excitement of Orientation Week (Aug. 26-29), the connectedness of Family Weekend (Sept. 14-16), the traditions surrounding Homecoming (Sept. 28-30) and, let’s not forget, the highly anticipated Cobber Ring Day in November. 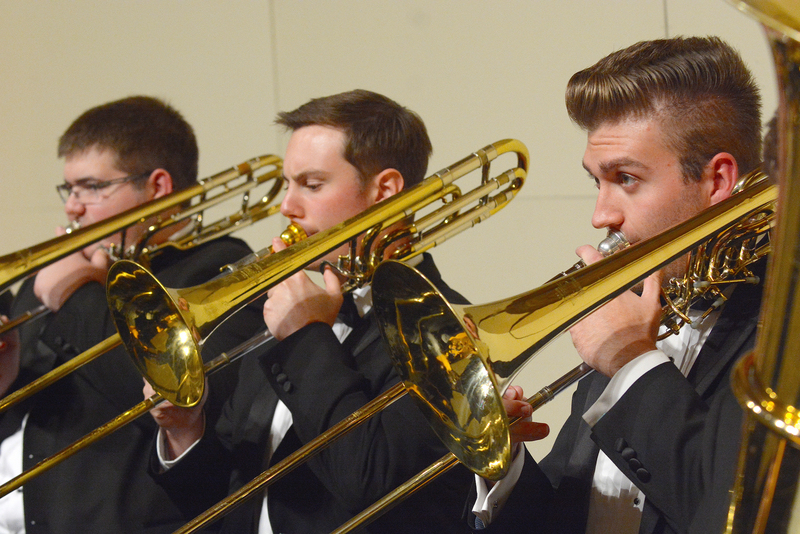 The opportunities for involvement are endless at Concordia. No matter who you are or what you’re interested in – there is a club, group, team and/or organization for you here. 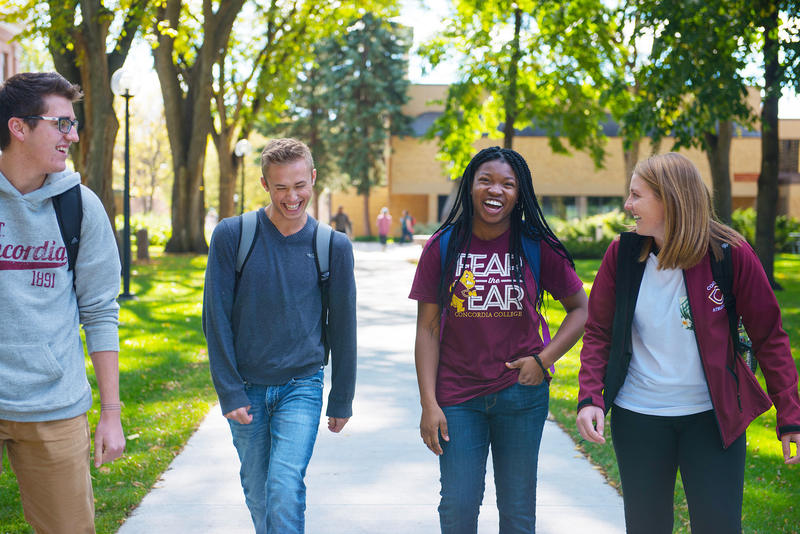 So make sure to check out the Cobber Expo (Sept. 8) to see everything we have to offer. Still don’t see anything you like? Then start your own organization. Do you ever have a ridiculous amount of meals swipes left at the end of the semester? Are you too busy to make it to Anderson Commons before closing time? This shouldn’t be a problem starting the 2018 fall semester because, in addition to the seven wonderful already established meal plans, Dining Services will be introducing Late Night Swipes. These can be used in either The Maize or Korn Krib “after hours” (up to an $8 value). So be sure to take advantage of this new initiative to get the most for your money. Whether you’re living on or off campus, there are housing options for everyone. 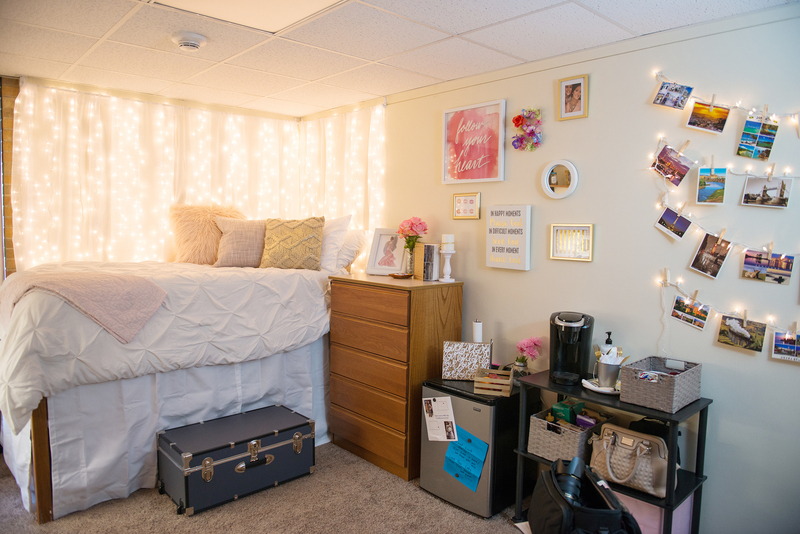 Some of the best memories you’ll make here happen during the first two (required) years in the residence halls, and some happen off campus when you finally decide to “adult” and get a place close to campus with friends. Wherever you decide to live, it’s likely you’ll start calling that place (and Concordia) home. Need a break from your parents? J/K – love you, Mom! Going back to school means a lot more than just getting away from family members or your hometown. 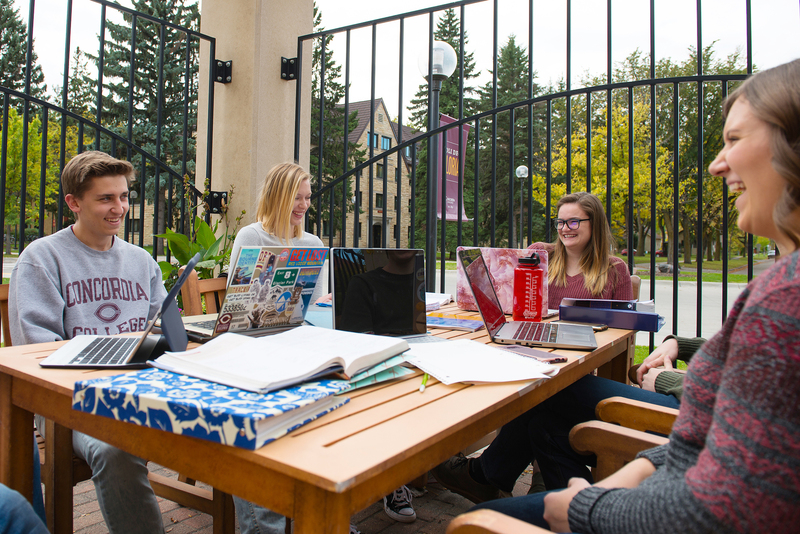 At Concordia, students have the freedom to create an academic and social experience that’s their own. 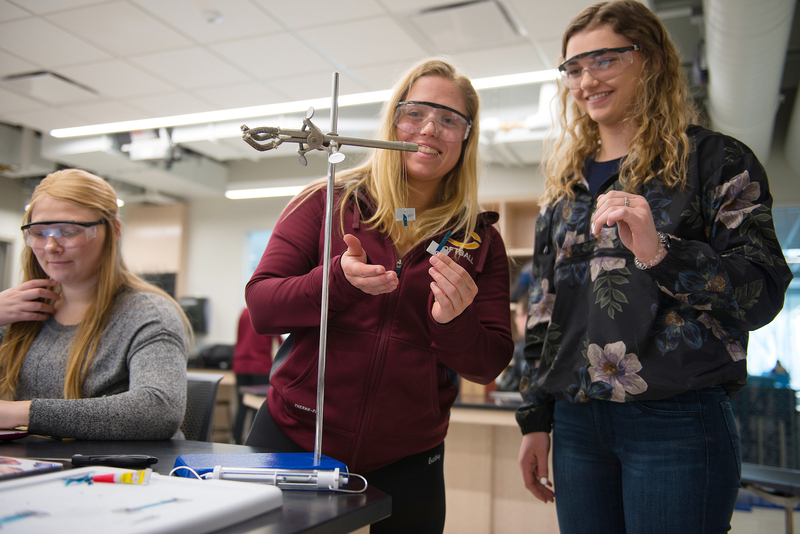 A liberal arts education allows students to explore a curriculum that prepares them for all of life’s disciplines, perspectives and needed responses. And with so many options, students can get involved as much (or as little) as they want outside of the classroom. Many people think the first day of classes means a “syllabus day,” a day when you get out early because classes are shorter from just reviewing the course’s introduction (hence the name). 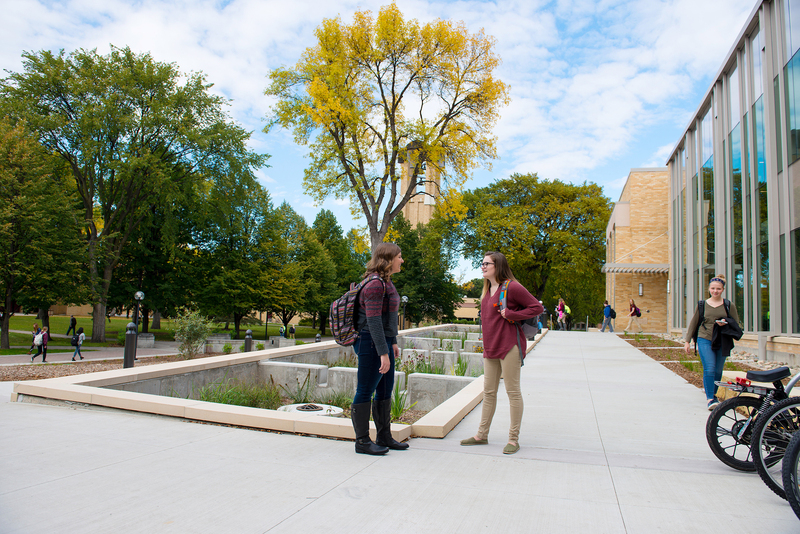 In some cases this might be true, but the first day of classes (Aug. 30) at Concordia means so much more. The first day of class is the end to a week of Orientation (Opening Convocation, the beanie toss on Olin Hill, etc.) and a time when everyone is finally back together on campus. Classes may not be something make it onto every student’s back-to-school list. But for Cobbers, that’s (hopefully) a different story. Classes are taught by supportive faculty members, not TAs (with a 13:1 student-to-faculty ratio). And with 50+ majors and 12 preprofessional programs to choose from, you’re sure to find something taught by someone you like. If going back to school still isn’t your cup of tea, then have no fear – Fall Breakaway is here! Well, I guess you could say it’s “around the corner.” And by “it,” I mean a full week of break (Oct. 20-28)! 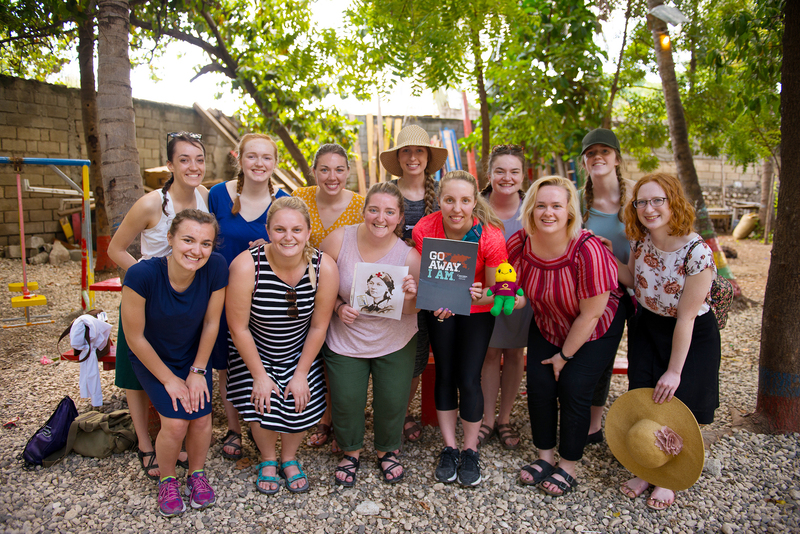 You can use this time to relax and avoid anything school-related, or you can choose to become responsibly engaged in the world through all of the opportunities Concordia offers (Habitat for Humanity, Justice Journeys, PEAK, etc. ).